We’ve all been there. Heart is racing. Beads of sweat pouring down your face. There is simultaneously a ringing in your ear and your baby screaming, and what feels like the entire world’s eyes burning a hole through you. Oh, the joys of traveling with a baby for the first time! This isn’t always the scenario of course, but it is the one we picture when planning the first trip with a baby. The planning and research to answer the ultimate question can feel endless: How do I survive traveling with a baby (and maybe even enjoy it, too?). We have put together a list of tips and essentials for the smoothest possible travel – all of which are eco-friendly, non-toxic, and sanity-saving. Be TSA-ready: If traveling by plane, print out a list of TSA and airline-specific guidelines and highlight the rules about carrying on breastmilk or formula (tip: there are no limitations frozen or liquid), as well as being allowed to bring through your stroller, car seat and extra bag for baby. Having this printable handy avoids any stressful conversations with TSA agents or other airport staff that may not be knowledgeable on the rules. Babywear for extra hands: Babywear your tot in a really comfortable baby carrier. We especially love the Hana Organic Carrier because it has a hood to put over baby in case they need to sleep at the airport and not be distracted by the world. 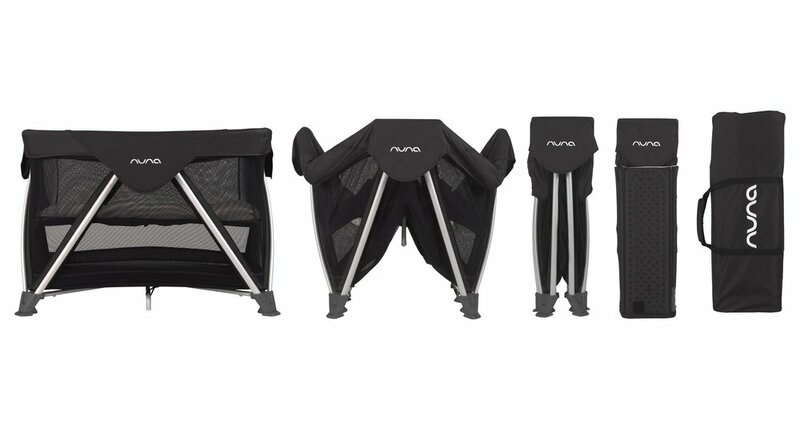 Clip your car seat into your stroller (we absolutely love carseat/stroller sets that already do this like the Nuna Mixx and Pipa) and bring through security to gate check with their matching bags to ensure they are protected. Gate check car seat and stroller: Do not check-in the car seat/stroller ahead of time with luggage – they will get super banged up, and nothing will ruin your trip faster than arriving to your destination with a broken or missing car seat! Bonus points: many airlines will let you carry the car seat on if there is a spare seat on the plane. Note from Tierney: Hi there! As a Child Passenger Safety Technician, I urge parents to follow the safety recommendations of the FAA, AAP, and NTSB which state that all children under age 2 should ride in approved child restraints during air travel instead of being held as a lap infants. I don’t want to turn this into a post about car seats on airplanes but I needed to add my two cents on this issue that is very dear to my heart! Nurse or feed during take-off and landing: This will avoid any ear pain, and will also (hopefully) help baby fall asleep. A great (and plastic-free pacifier) can help throughout the plane ride, but it’s important that baby is actually doing the sucking motion associated with eating to avoid ear pain. Mail diapers and wipes: Packing a suitcase full of diapers or running to a store on your trip are equally unappealing and unnecessary. Order ahead of time through Amazon Prime and ship the diapers and wipes directly to your hotel in advance so they'll waiting for you upon your arrival! Just give the hotel a call ahead of time to let them know. Pack extra outfits: Definitely pack an extra outfit for your baby in case of a poop-explosion, but don't forget to pack one for yourself as well in case you are the recipient of some baby fluids. Easy access to a toy: Clip on a toy to the outside of a bag to distract baby in a pinch. 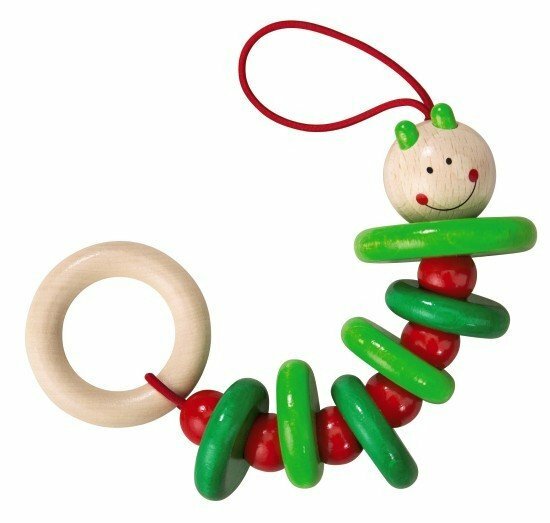 We love this wooden grasping toy which can be looped around any handle. Bring one toy baby is comfortable with and loves and one toy that is new and they haven’t seen before to keep things fresh while avoiding packing too many toys. Get baby used to sleeping environment ahead of time: A lightweight travel crib that packs up easily is essential. We are obsessed with this new travel crib because of its comfort, breathability, and it is the only all-mesh mattress out there. It also folds into a small carry on bag that fits in an overhead compartment. Set the travel crib up at home and use as a playpen for naps ahead of the trip. Baby will be familiar with the environment, sheet and smells when you are away. Makeshift play space: Baby will still want room for tummy time, crawling and exploration. Hotels and other spaces may not always be conducive. In addition to a travel play pen (see above), we love this organic extra large lightweight blanket that takes up little travel space, and can be plopped down anywhere. Re-create the home environment for sleeping: Aside from a comfortable and familiar travel crib, a solid set of travel black out shades (which can double for a makeshift baby space, see below) and a noise machine (the homedics spa is small and easy to pack) can help cue baby when it is sleep time, especially if these are things you use at home. Adjusting to timezones: It takes about a day to adjust per hour difference. For short trips with only a small time difference it may make sense for baby to remain on their “original” timezone if it’s possible. If you are going far you may be dealing with some very early morning wake-ups. This may require an early start to your day (which can actually be helpful for navigating crowds and seeing sights!) as you slowly adjust each day. Be Flexible: Don’t overpack activities and don’t get stressed when things deviate from plan. Remember, it’s just one nap, one night, one day or one week. You will survive and get back to normal.